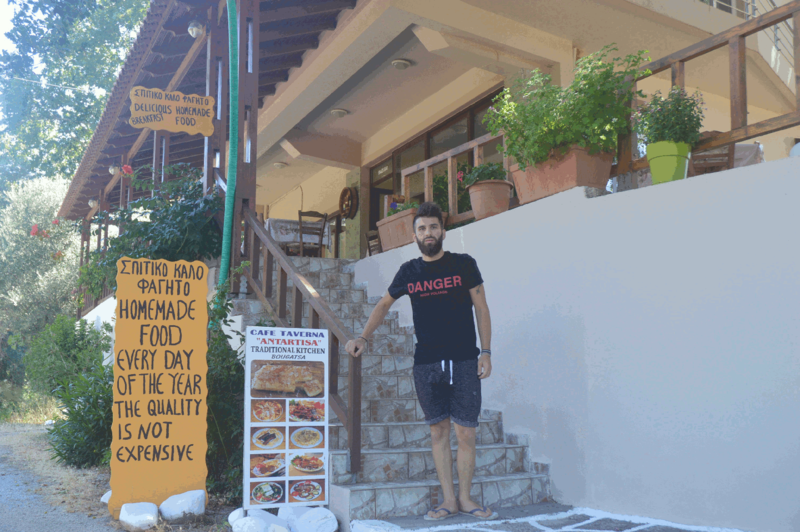 And it is run by Yannis, a great chef with a wood oven. 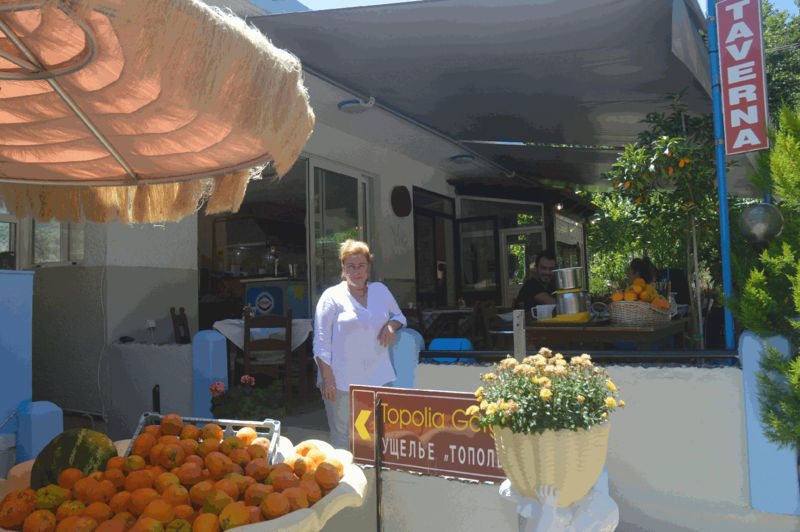 Olga welcomes you to her lovely café taverna in Katsomatados for coffee or great Cretan cuisine. 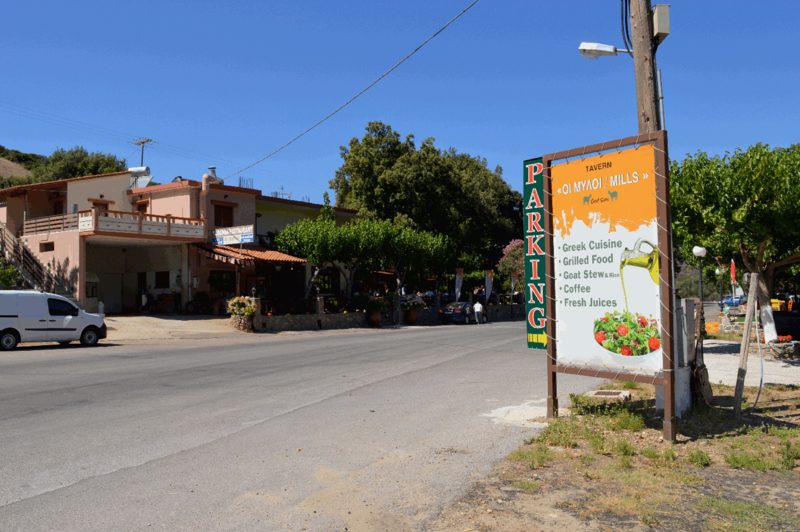 When in Rogdia you must eat at Georges’ taverna. Come and eat with the rebel woman in Limni for fresh quality dishes. The guy in the picture is her son. 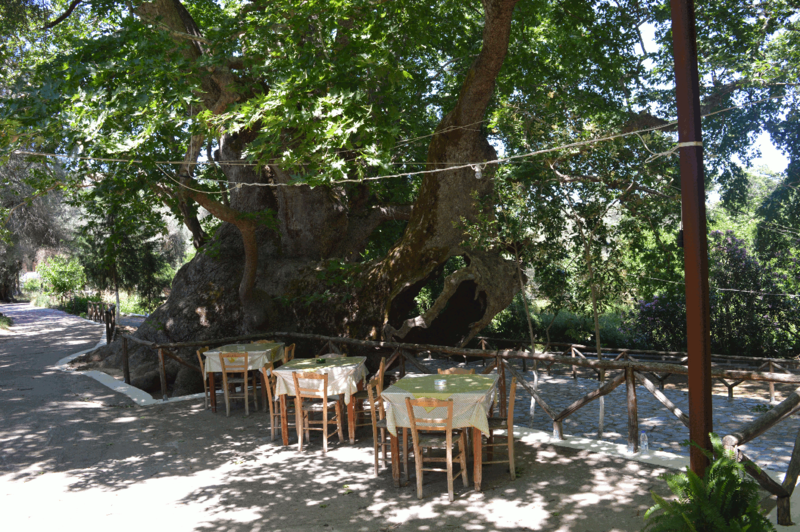 The brother Stelios and Grigoris Kokolakis run a restaurant bordering the river. 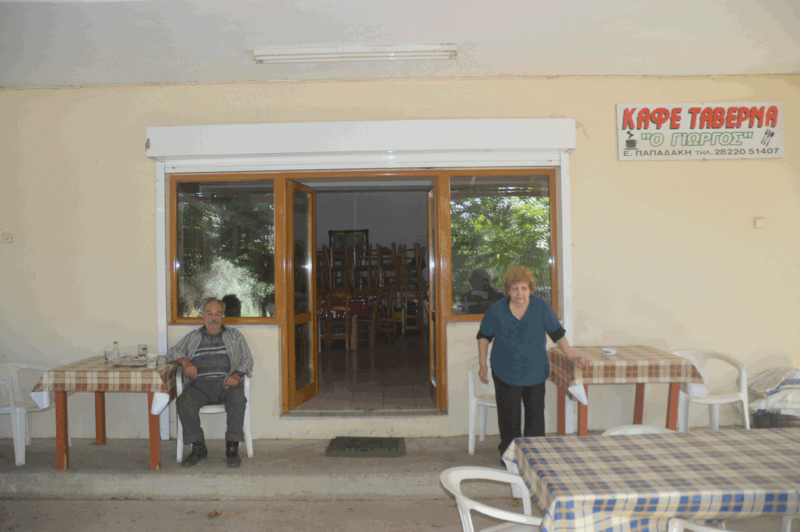 Kastanofolia serves Cretan food. 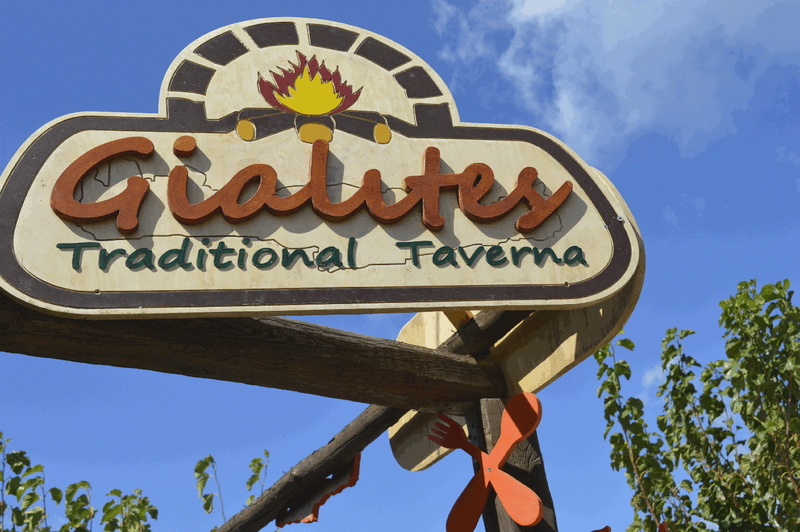 Come to Platania Taverna and have a traditional Cretan meal in the shade of a majestic platan.